Here is a great way to sample the House Spice Rubs. 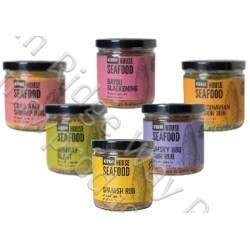 Great on all kind of seafood, chicken, pork, beef and vegetables. Leave it to your imagination.